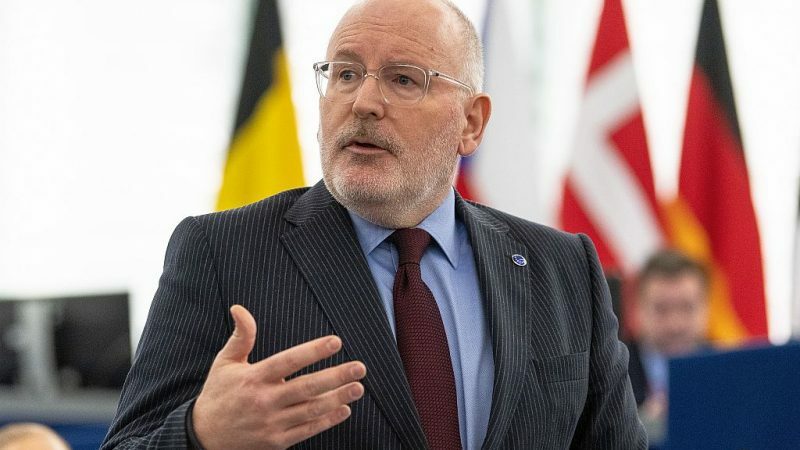 Frans Timmermans, the Social Democrats’ candidate to lead the next European Commission, will try to form a progressive majority after the EU elections but will need some of the ‘progressive liberals’ from the ALDE group and will extend a hand to the party of Emmanuel Macron. The first vice-president of the outgoing Commission told EURACTIV in an exclusive interview it was certain that “the era of two parties dominating the Parliament will come to an end”, a reference to the Socialists & Democrats and the European People’s Party (EPP). The center-right is set to remain the biggest group in the EU legislature after elections in May that should also show a surge in seats for the far-right, a survey by the European Parliament showed on Monday (18 February). Macron’s LREM party is still sitting on the fence, though it is seen as relatively close to ALDE, and the French president himself has been playing it close to the chest. “I think he is just hedging his bets all over the place. All I can do is try and propose something that might be attractive to him as well, and then just wait for the choices he makes,” Timmermans said of the French head of state. The Dutch politician, who was the Commission’s rule of law champion and an outspoken critic of far-right anti-democratic tendencies, said his only red line in building political alliances was “no cooperation with the extreme right under any circumstances”. 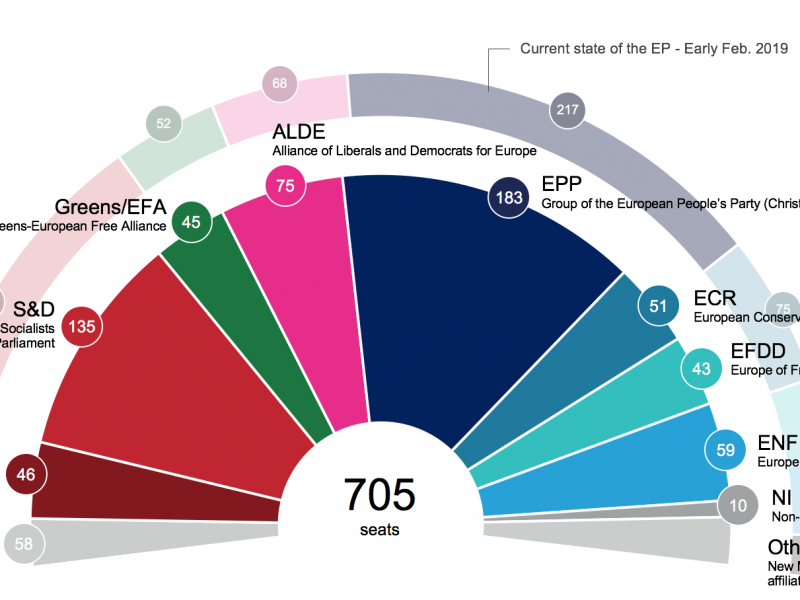 Timmermans’ main rival will be Manfred Weber from the EPP, traditionally the strongest bloc in the Parliament. But the whole Spitzenkandidaten process, whereby European political groups name their top candidate to lead the EU, may still collapse in the aftermath of the vote. It was first used in 2014 to put Jean-Claude Juncker in the driving seat, ditching the traditional behind-closed-doors talks among EU leaders. At that time two leaders were against the Luxembourger: Hungary’s Viktor Orbán and the then UK prime minister, David Cameron. But it is now increasingly clear that some countries like France and political groups like ALDE are not in favour of the Spitzenkandidaten process, though Timmermans said he hoped the European Parliament would stand up for the process. 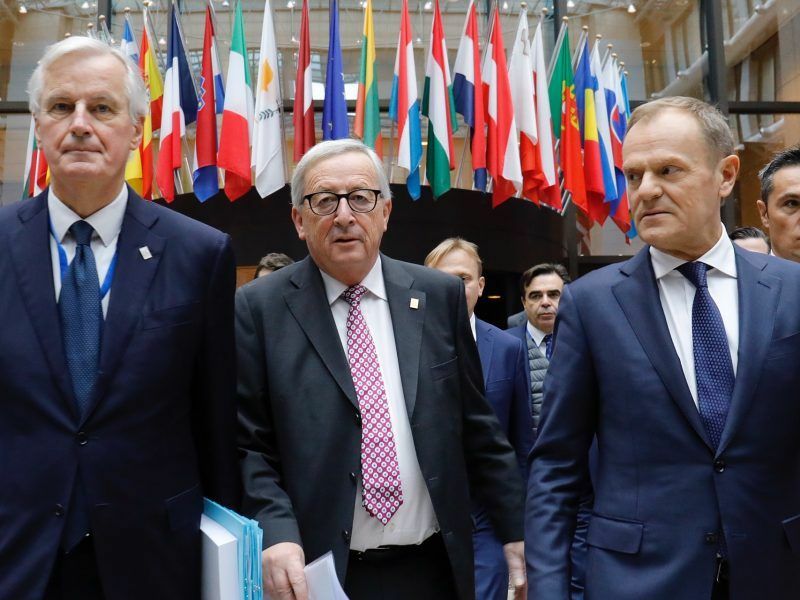 European Union leaders lavished their Brexit negotiator Michel Barnier with praise on Sunday (25 November) for securing a divorce agreement with the United Kingdom, strengthening the Frenchman’s hand should the stars align for him to run for Commission president. He warned it would be “a bit strange” if the process is dumped in favour of the direct, clandestine negotiations, so that “someone who has been sitting under the table, courting all the prime ministers for months or even years, is sort of pulled up from under the table and said ‘this is your new Commission president'”. Timmermans said his Commission would be framed around sustainable development goals, “because they give the best thinkable framework for what we need to do”, focused on social sustainability, circular economy, defence of multilateralism, and making the housing sector affordable for all across the EU. In a separate video interview, due to be published later this week, he said Europe’s biggest challenge, other than climate change, is “how we establish a structured, strong relation with Africa. He called on the pro-EU forces to respond with their own ideology, rather than “with powerpoint presentations about why the abolishment of roaming charges is such a good idea”. Is is good to know that he will collaborate with the extreme left. They are not against EU. They just want communism and to overthrow democratically elected governments. Mr Varoufakis would be a good candidate. The Commission needs an experienced, strong and committed President. This should be the major objective of both Council and Parliament – rather than bickering on their respective influence on his/her choice.